The second I first started web-swinging in Marvel's Spider-Man, I said to myself, "God, it's been too long." 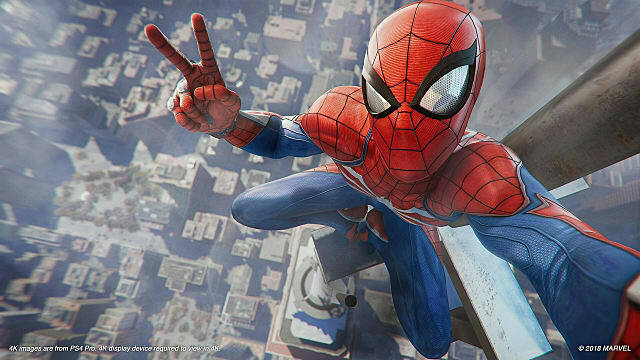 I've missed swinging around New York, and I've missed playing a good Spider-Man game. Sure the Arkham games have filled the void in open-world super hero action games, but bat-a-ranging foe's and gliding around Gotham as Batman never had the same appeal as playing as the ole' Webhead. 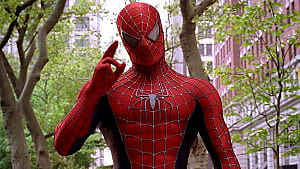 When Sony and Insomniac Games announced they were working on a Spider-Man title, all they could of done was just make an HD port of Spider-Man 2 and I think every Spider-Man fan would've been satisfied. 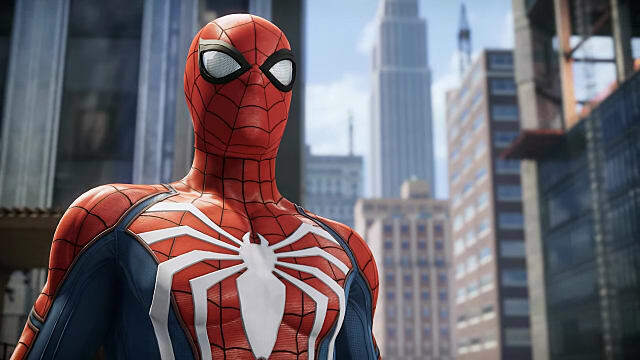 But like with Rocksteady's Arkham games, Insomniac went the extra mile and made not only the best Spider-Man game, but one of the best super hero games in a long time. 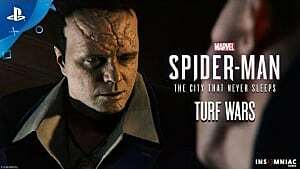 After taking out a certain villain early in the game, a new gang calling themselves "The Demons" begin to appear around the Big Apple -- and it's up to Spider-Man to stop them. While a lot of the game's plot twists are easy to see, especially if you're a big Spider-Man nut, it's still a great tale thanks to fantastic writing and good use of Spider-Man's rogues gallery. 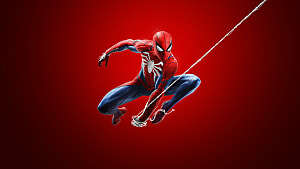 What I loved the most was how Insomniac really made this version of Spider-Man its own. 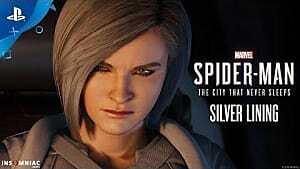 Just like with Rocksteady, Insomniac has a firm grasp of what makes Spider-Man and his supporting characters great, and the company's not afraid to change well-established comics "guidelines". This shines through with the interactions Spider-Man has with his friends and family, especially Mary Jane. 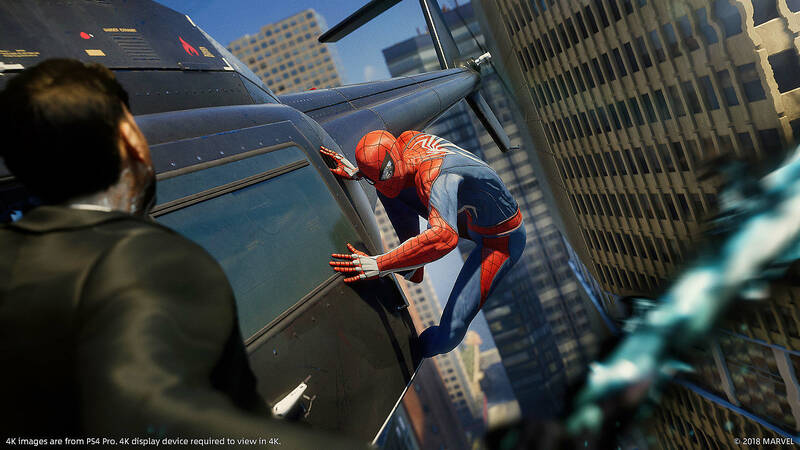 Right away, Spider-Man throws you into what he does best: swinging around the Big Apple. As Spider-Man leaps, runs, and swings his way across New York City, I instantly had Nostalgic flashbacks of playing Spider-Man 2 and Ultimate Spider-Man on the GameCube. Controlling Spider-Man is just as exhilarating as it was before, but the additions of a parkour system and the ability to leap as I landed on the edge of a building or a street light created a sense of exhilaration that I never experienced before. Spider-Man just might have the absolute best traversal mechanic in any game -- and I could spend hours just swinging around. As you explore a digital Manhattan, you'll come across various collectibles and side missions. 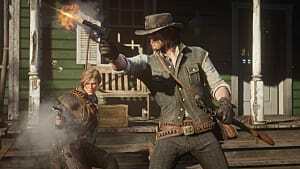 While the collectibles are just there to help you unlock costumes, the side activities are a bit more varied. From simple combat challenges stopping crimes in progress, the game gives you a lot to do. I never felt like I was ever bogged down by these challenges, and there wasn't one that was bad or broken. A few of these could even be considered more fun to do than the main missions. Spider-Man's combat, meanwhile, is equally as astonishing as its web swinging, though it does take a bit of time to adjust to. 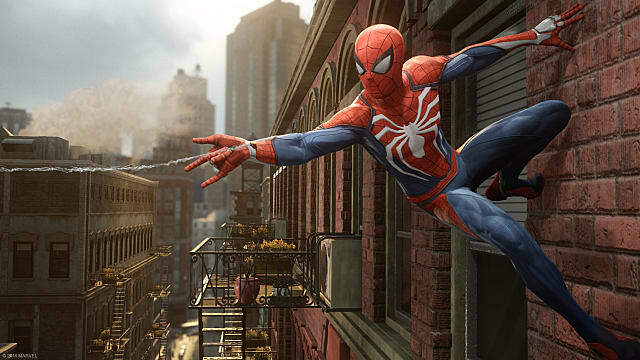 At first glance, it looks and plays like Batman: Arkham Knight, but with Spider-Man re-skinned. However, controlling Spidy is vastly different than the Dark Knight. 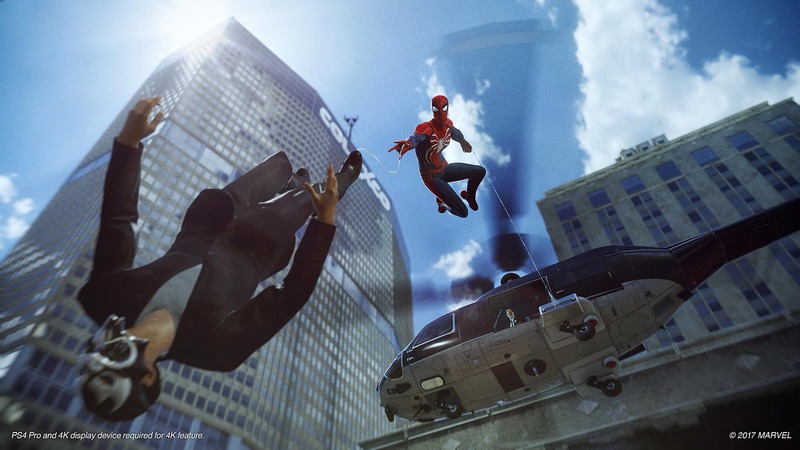 Spider-Man doesn't simply counter enemy attacks; he quickly dodges and jumps right behind them. Small things like this may take some time to get used to, but once you do, Spider-Man is a one-man army against the criminals horde he faces. Simple punches feel good and using your web to bring Spider-Man's fist to an enemies face never gets old. The upgrade system contains a vast amount of moves and rarely did I find a new skill that I didn't want to buy. From pulling guns away from burglars to webbing up and throwing criminals, nearly every move felt useful. 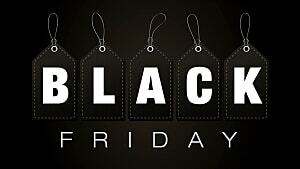 The same can be said with the various gadgets you acquire. From taser webs and trip web mines, the gadgets Spider-Man can use are crazy and a ton of fun, though it shouldn't be surprising to anyone who's played any of Insomniac's Ratchet and Clank or Resistance games. If I had any issues with the combat, my main grip would be that the camera could've been pulled back a little more, as I was hit on a few occasions by a foe I couldn't see. The fights, especially with certain enemies, can also become a little too chaotic, as I would be bombarded with various guns, energy blasts, and Spidy's own spider-sense icon. It can be frustrating to be hit by so much and expect to know what to do in such a small camera space. Along with combat, there also a few stealth sections in the game. Most are optional, but there are few that will have you avoiding enemies at all cost. This is particularly true in the few sections where you get to play as a certain someone with the initials M.J. Thankfully, stealth is mostly forgiving, and I never felt like these sections were forced like so many other games. You'll also get to do some light detective and puzzle work as both Peter and M.J. Most of these objectives are pretty easy to figure out and these sections do a good job of breaking up the action and give you a chance to breathe. Graphically, Spider-Man has a nice balance of realism and MCU-ness. While I as a fellow New Yorker I can't say that the digital New York is 100% accurate to the real thing, it's still a pretty damn good recreation of it. With the various NPCs that inhabit it to the large buildings to swing from, Spider-Man's world is constantly brimming with personality and joy. The various character models look equally great and never run into the uncanny valley. The only real issue with Spider-Man's presentation was the occasional texture pop-in. The audio is also pleasing, with great web sound effects that help immerse you as you swing by or shoot a goon up with some webbing. 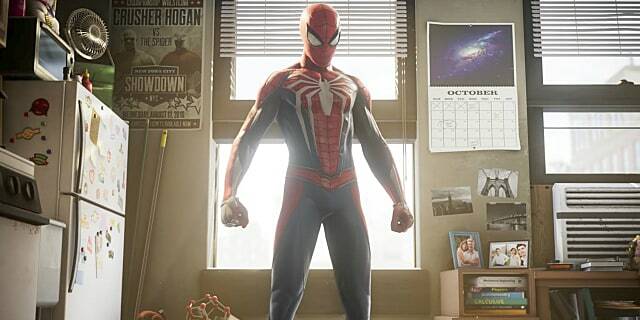 The music is great to listen to, especially the theme that's used when you start web-swing. It's a tune that makes you feel both empowered and heroic, absorbing you more into what it feels like to be Spider-Man. The voice acting is great throughout, with a lot of the actors nailing each of there roles. The game even has dynamic dialogue that see Spidey's tone of voice change whether he's exerting himself or not. After Disney purchased Marvel, it seemed that video games were pretty low on there priority list. Since then, most of Marvel's heroes were stuck with lame movie tie-ins or dull free-to-play titles -- unless you're a LEGO fan, then you're covered. However it finally seems that Disney has finally started listening to the gaming community: Spider-Man is easily one of the best games of the year. 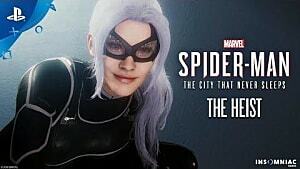 It's a wonderful title that not only works as an amazing video game, but one that also just happens to star your friendly neighborhood Spider-Man. Here's hoping we see more of Spider-Man and the Avengers on home consoles... Just as long as they're not the umpteenth LEGO title.